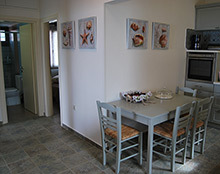 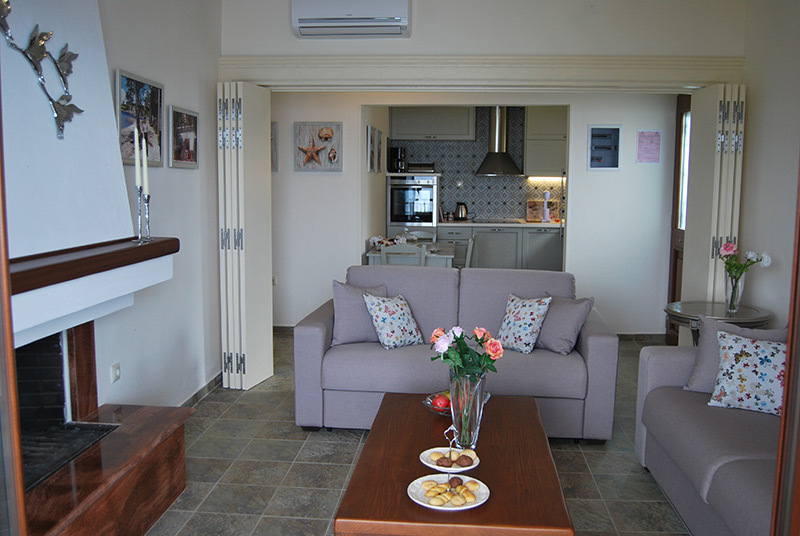 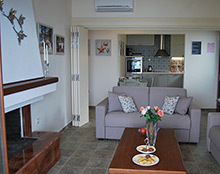 Apartment 1 is located on the 1st and is right in front of the beach of Lefokastro. 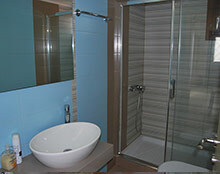 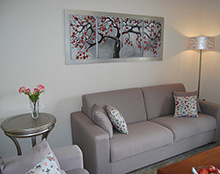 The apartment has 2 separate bedrooms, a spacious living room, kitchen and bathroom. 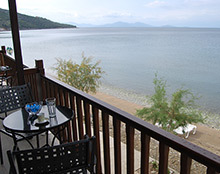 There is a balcony facing the beach that has a table and chairs. 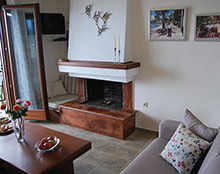 The living room has a comfortable couch, flat screen TV and also a fireplace, which creates a very warm and cost setting during the winter months. 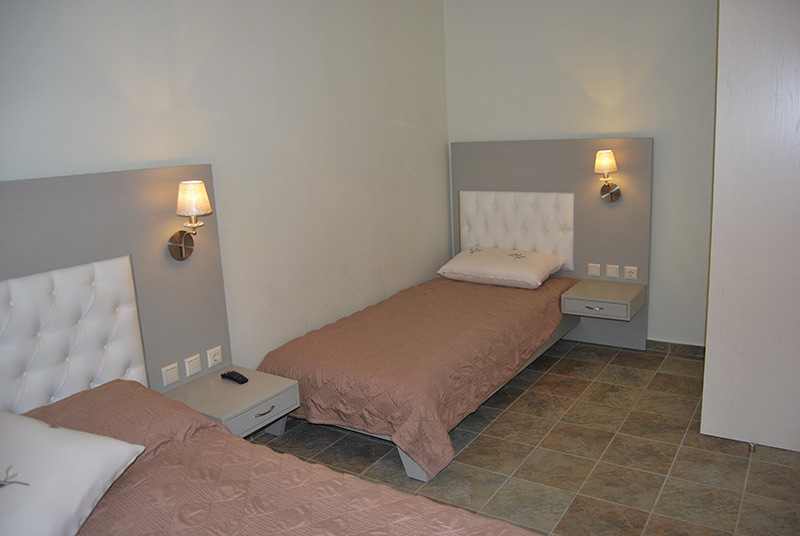 The master bedroom has a double bed and also a single bed, making it ideal for those who might be travelling with a young child. 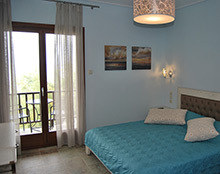 The second bedroom has a double and single bed. 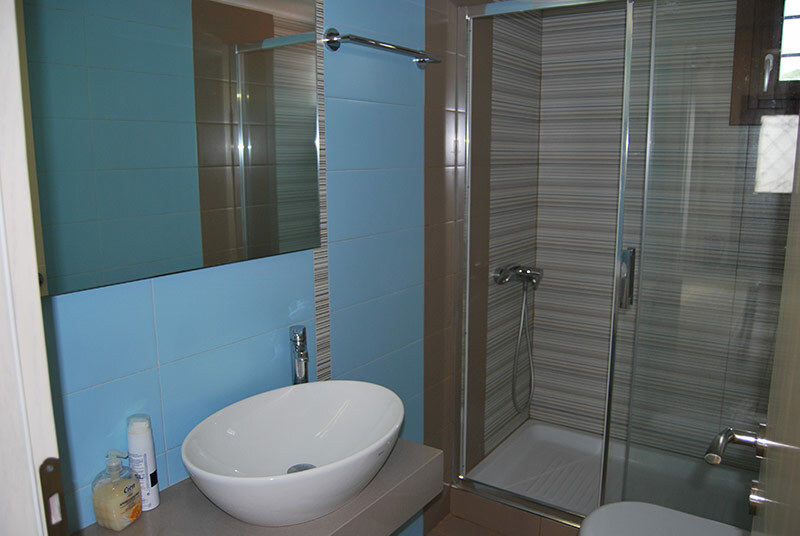 All of the rooms in the apartment have air condition. 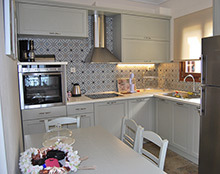 The kitchen is fully equipped and includes a dining table, toaster, frappe maker, filter coffee maker, two-door fridge freezer, ceramic hob oven and an electric kettle. 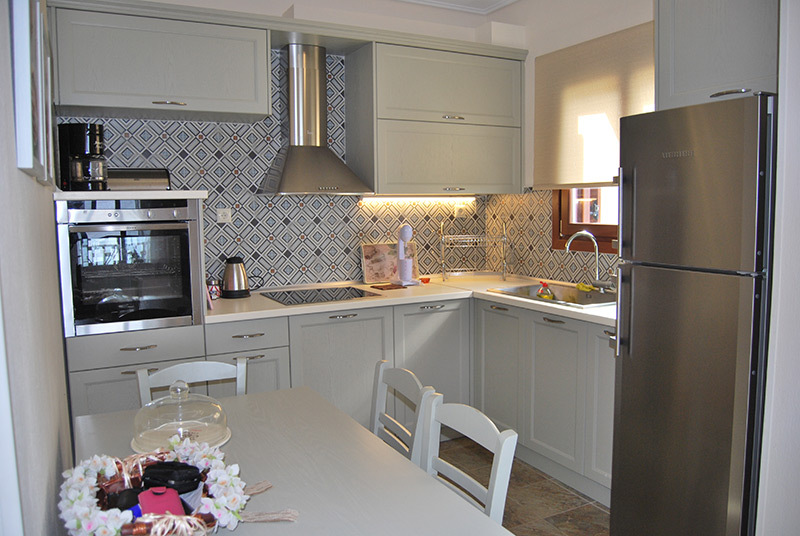 We are confident that you will find this apartment ideal for a couple with 2 children. 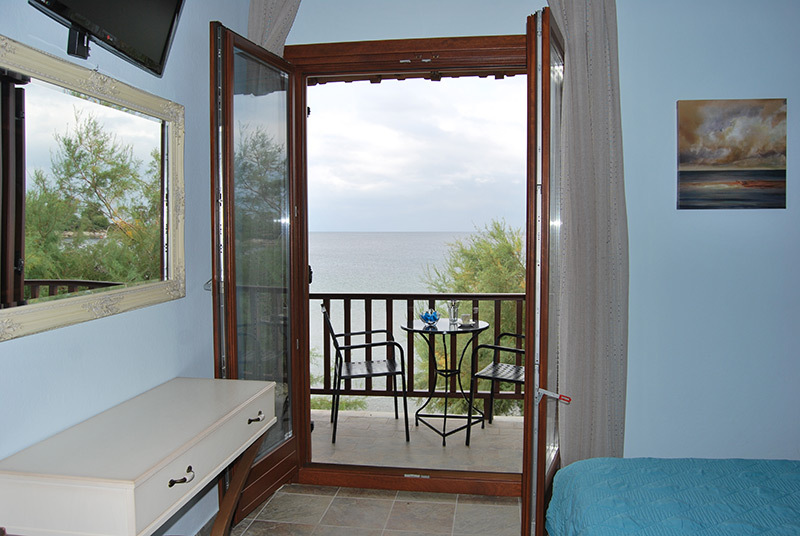 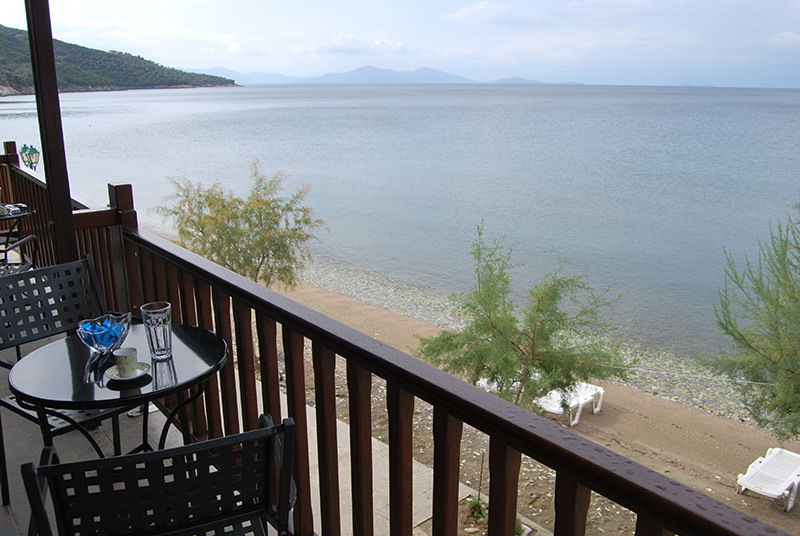 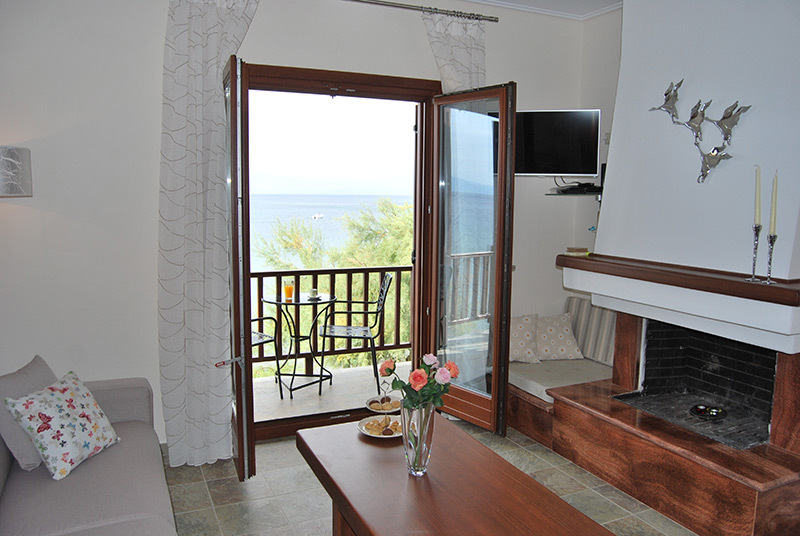 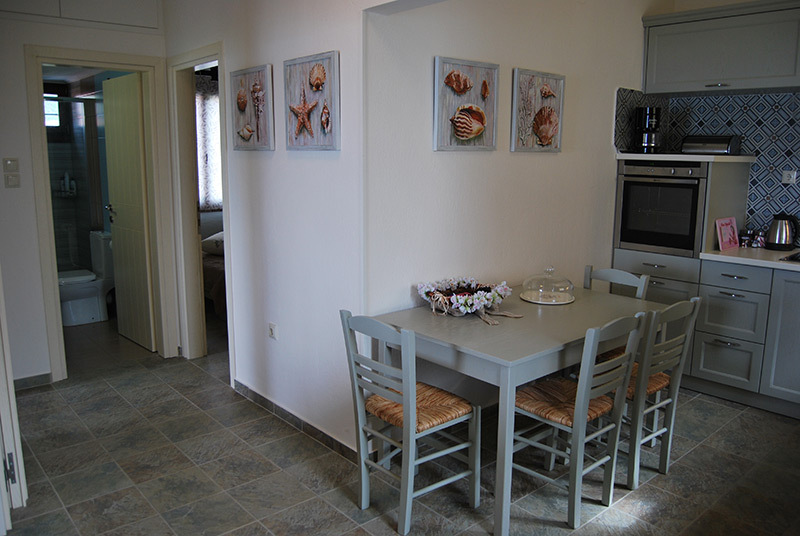 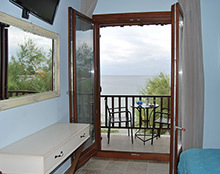 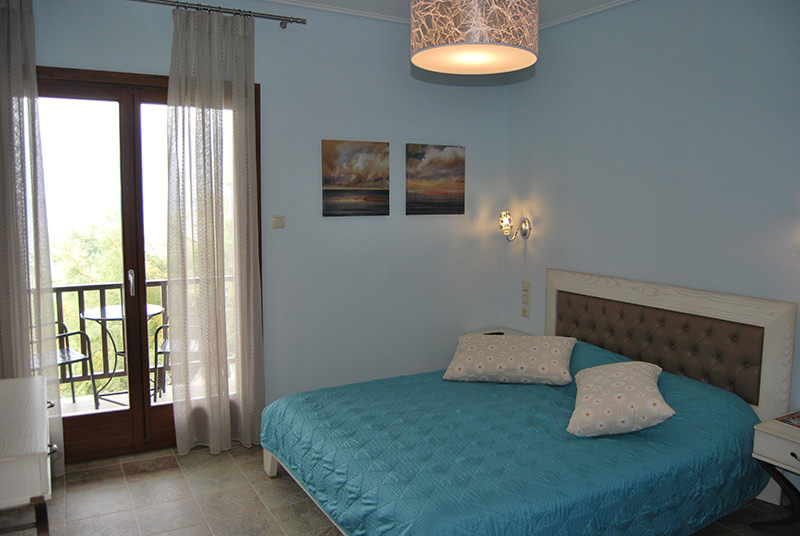 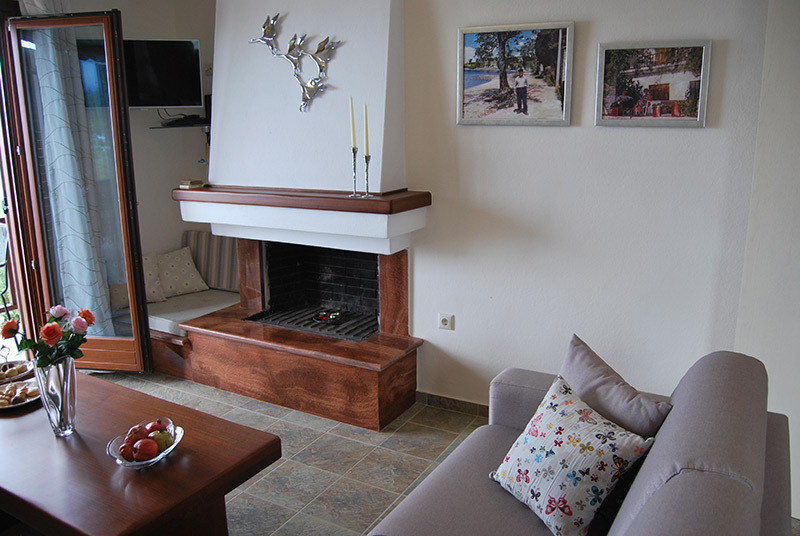 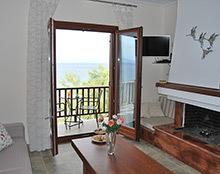 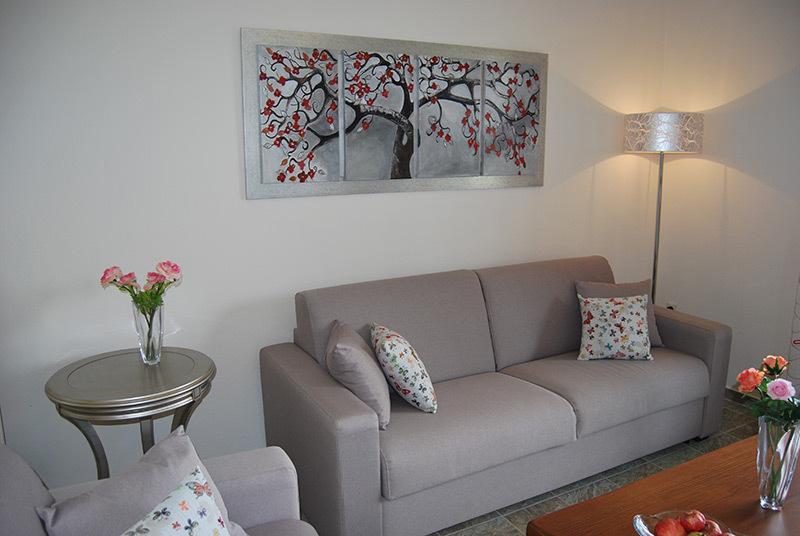 The apartment offers comfort as well as instant access to the beach of Lefokastro.